On May 8, the AAWGT membership voted to award $95,682 to seven area nonprofit organizations, bringing the total investment since 2007 to more than $500,000 that AAWGT has contributed toward improving the lives of women and families in Anne Arundel County. This year marks the first in which grant funds were supplemented by a five percent distribution from AAWGT’s endowment fund, which was created in 2011 to help sustain AAWGT into the future. 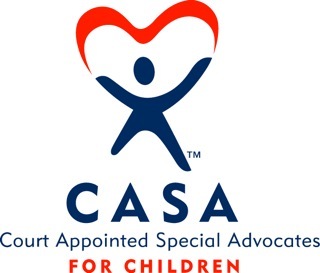 Anne Arundel County Court Appointed Special Advocates (CASA Program) – $15,000 to supplement staffing for the program that trains volunteers who provide support and advocacy for abused or neglected children in the court system. The Anne Arundel County Public Library: Family Literacy Center - $15,000 to purchase interactive educational tiles (that can be rotated to other libraries), a craft reading bench and a puppet theater, for use by children in the Brooklyn Park Branch Library, which will provide a safe, stimulating environment for children and families and become a pivotal center for community life. Anne Arundel County Mental Health Agency: Youth Suicide Awareness - $13,000 to be used for training individuals in the “Question, Persuade, Refer” program which teaches people to identify potential suicide victims, talk to a person in crisis and get them immediately to a mental health professional. 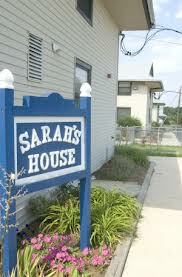 Associated Catholic Charities/Sarah’s House: Focus In: Life Experience - $15,000 for salary of the coordinator of a program targeting teenagers who live at Sarah’s House. The program will focus on their emotional, self-development, intellectual enrichment, personal and academic goal settings. Creating Communities: Arts Mentorship Academy - $7,682 for staff and supplies for it’s Art Mentorship Academy, an arts-based alternative education opportunity through instruction, mentoring and experiential learning for children 8 – 17 from low income families at no charge. Food Link: Wholesale Food Distribution - $15,000 for staff salary, transportation expenses and gleaned foods(apples, pears, sweet potatoes). Food Link provides fresh fruit, vegetables and other healthy food to over 13,000 needy people in Anne Arundel County. Girls on the Run of the Greater Chesapeake: Scholarship Program - $15,000 for scholarships for low income, preteen girls. GOTRGC is a structured program that combines a fun experience-based curriculum of training for a 5k race along with self- esteem enhancing workshops.